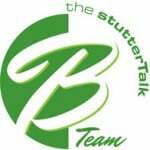 CARYN HERRING and JOEL KORTE (of the “Stuttertalk B Team”) discuss stuttering and their recent experiences at Camp Our Time. This is the final of three episodes Caryn and Joel recorded about camp. Joel was a camp counselor during the 10 day sleep away camp and Caryn’s duties centered around her work as Our Time’s resident Speech-Language Pathologist. They discuss the absence of shame associated with stuttering at camp, the changes the kids experience at camp, and the camp’s ability to allow people to be themselves.